Rocky Mountain Paper Crafts: Stampaganza is Back! The wait is over! Who is ready for Stampaganza 2016? Buy any two My Acrylix® stamp sets (M-, A-, B-, C-, D-, or E-size) at full retail price and get a third stamp set of equal or lesser value FREE! That is a savings of up to $29.95! 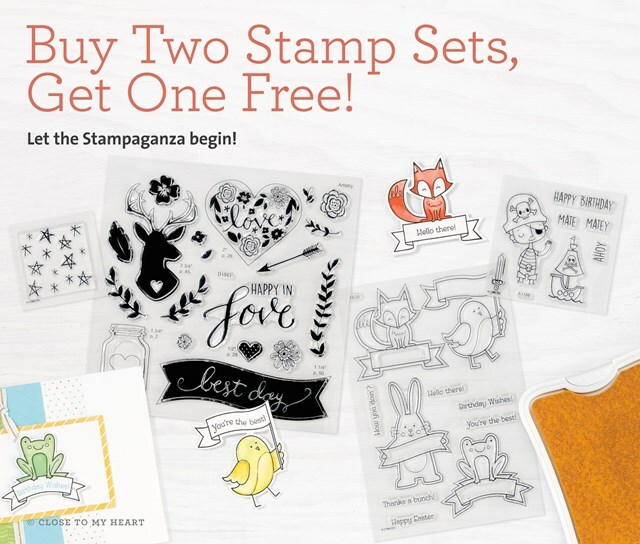 This offer is only available during March, so start submitting your stamp orders as soon as possible, and let the Stampaganza begin! You can view all of the current stamp sets and place your order here. Orders of $25 or more qualify for the Mystery Hostess Drawing! Dates: Offer valid March 1, 2016 (9:00 am MST)–March 31, 2016 (11:59 pm MDT).